Aikatsu Friends! – 010 | Mezashite! If it were possible to feel more like real middle schoolers and do a better job of seamlessly showing opposite personality traits that are consistent with everything we knew about the characters previously, I have yet to see it. My expectations were far surpassed. Yeah, like just ask Aine out already even the other two noticed with how hard Mio was staring at Aine. Next episode will be great. 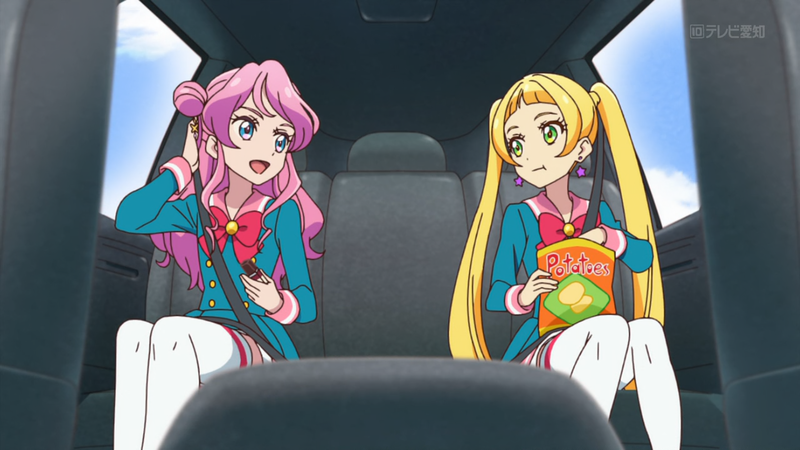 It’s been a since since I was hyped enough with Aikatsu to watch the raws than re-watch it once the subs come out, probably since the original Aikatsu. I knew this episode wasn’t going to disappoint. Maika and Ema for Best Friends.